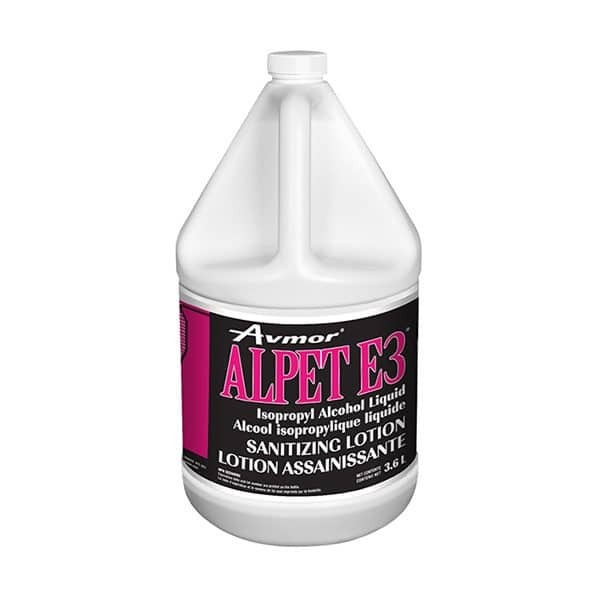 Use ALPET E3 as part of your daily cleansing routine. Spray entire surface of hands, including fingertips and cuticles. Rub product onto hands and allow to dry. No rinsing or toweling is necessary. Repeat immediately following hand washing, and between hand washings as needed. NOTE: Transferring or diluting this product into secondary containers other than those provided by Avmor may significantly reduce the efficacy of this product.